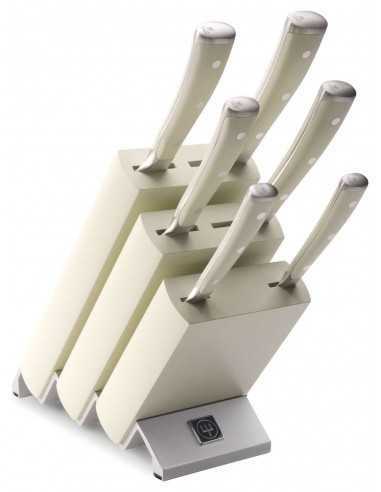 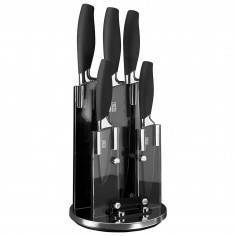 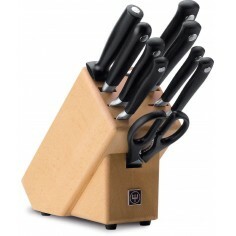 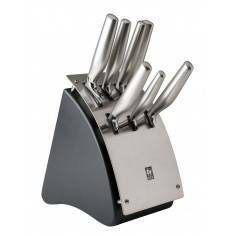 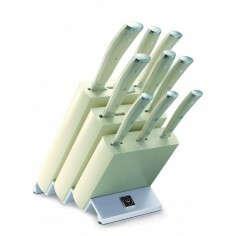 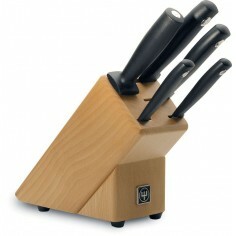 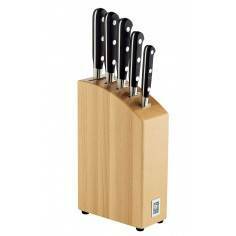 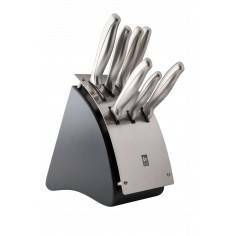 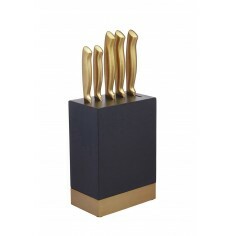 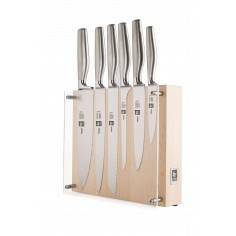 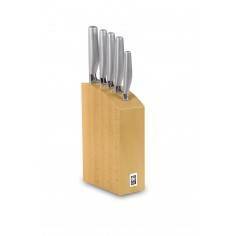 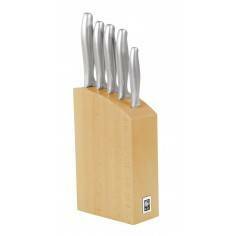 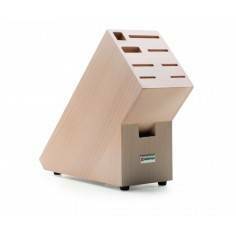 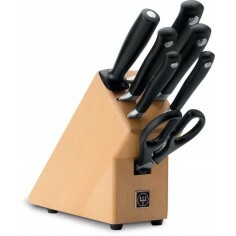 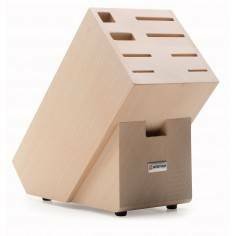 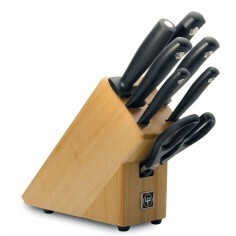 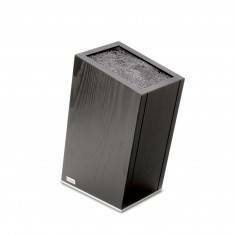 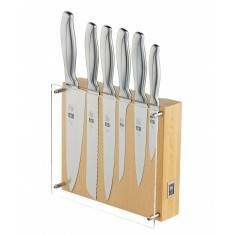 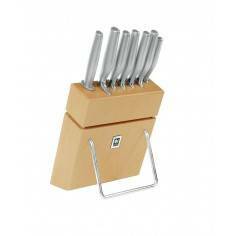 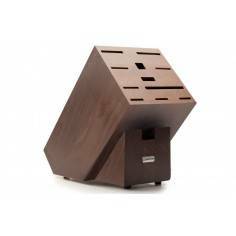 he Wusthof Classic Ikon 6 Piece Knife Block set combines power,precision,specialised design features,style and quality. 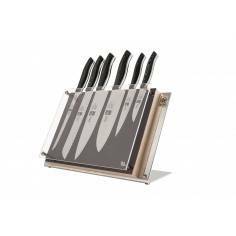 With all the knives having 58 Rockwell Ratings,they will retain their razor sharp cutting edge for longer and be resistant to corrosion. 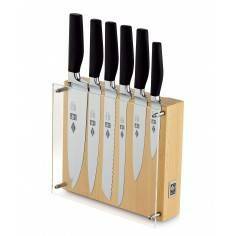 Included in this set: ,The Wusthof Classic Ikon Paring knife with 9cm blade is perfect for all those small jobs in food preparation. 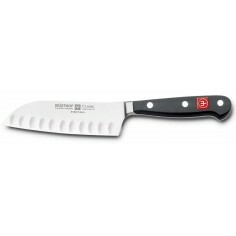 This knife is perfect for tasks such as peeling potatoes for those delicious homemade chips or for de-seeding tomatoes for a fresh and crisp salad. 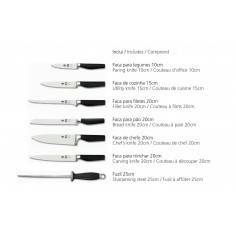 ,The Wusthof Classic Ikon Sausage Knife with 14 cm blade has a serrated cutting edge to allow the easy cutting of rolls and baguettes. 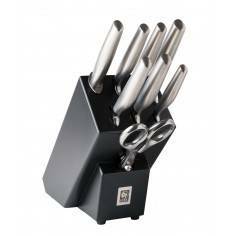 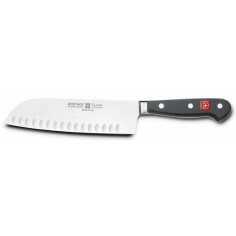 It is also the professional knife of choice for tasks such as cutting salami,chorizo and other sausage meat. 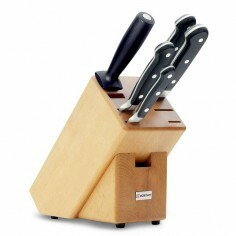 Perfect for preparing cured meats for a tapas board or for that Swedish style Smörgåsbord. 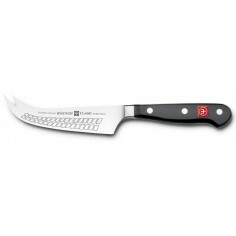 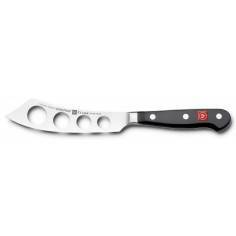 ,The Wusthof Classic Ikon 20 cm Bread Knife contains some terrific design features all of which are in place to make your kitchen experience more pleasant. 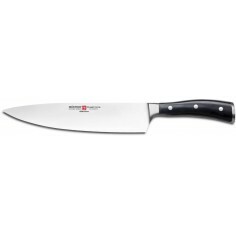 This knife has an extra long 20 cm forged steel blade with serrated cutting edge,giving you the ability to cut through even large loafs of bread with ease. 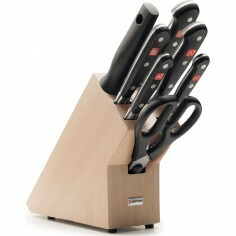 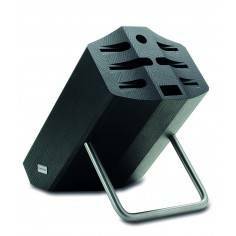 However,the one design feature Wusthof have incorporated making this a cut above its rivals is the offset handle. 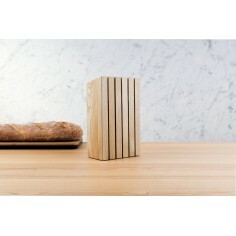 This provides you with copious amounts of space between the handle,your knuckles and the cutting board for when you cut those baguettes for lunch or fresh loaf of bread in the mornings for your toast.